Equestrian sports have a rich history that go back to ancient times. 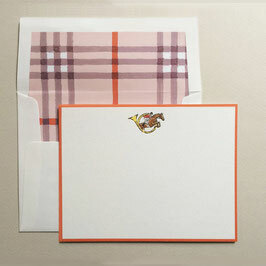 Their traditional english-riding motifs and patterns are perfect to adorn these lovely personal correspondence cards. 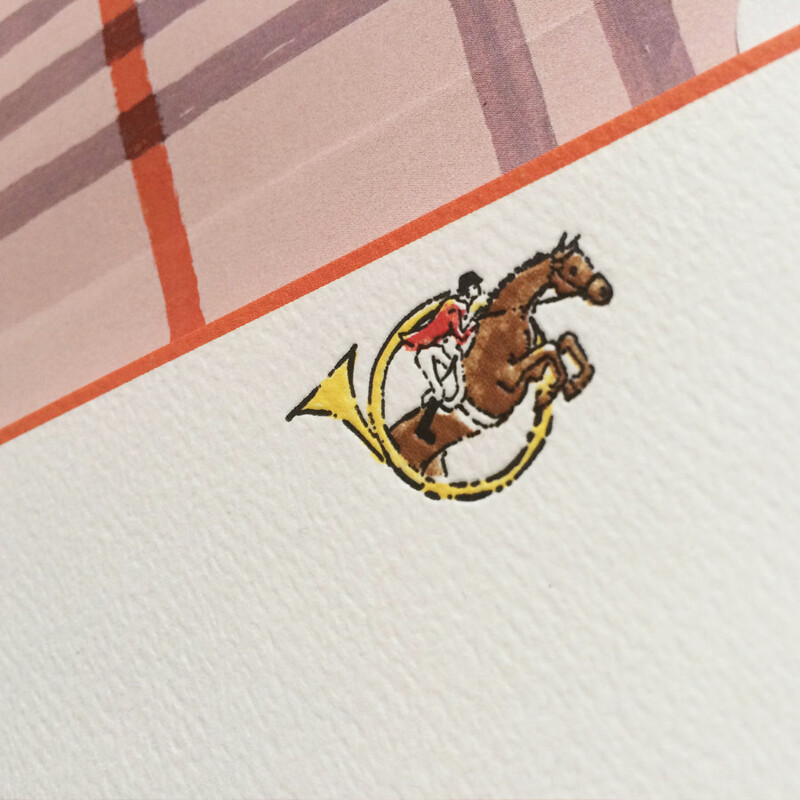 A red-coated rider and chestnut thoroughbred gracefully jump through a brass hunters horn. 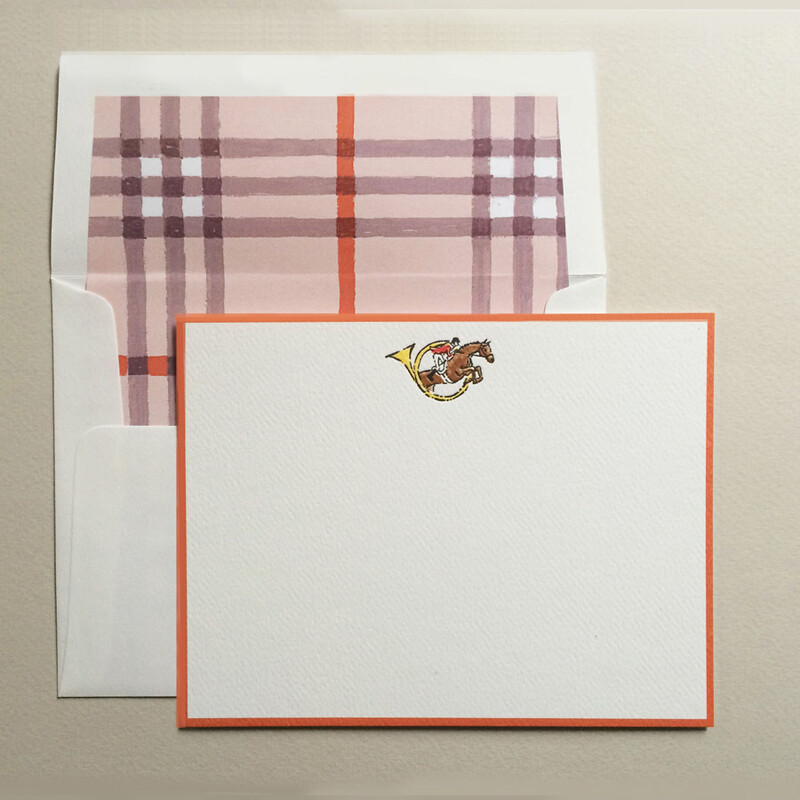 The plaid liner provides a perfect backdrop to the textured, letterpressed card stock.